Access to two half-day pre-conference workshops OR Taxonomy Boot Camp. No access to conference sessions, keynotes, lunches, or other events. Pass available to qualified industry professional. Registrants must show business card or proof of industry affiliation. Platinum Pass - Our Best Deal! Did you know that there are five closely integrated events at KMWorld? With a Platinum Pass, attendees have access to all five events: KMWorld, Enterprise Search & Discovery, Office 365 Symposium, Text Analytics Forum, and Taxonomy Boot Camp. They can choose to attend any one of these concentrated programs individually or, for those who seek to create a larger enterprise strategy that incorporates search as part of a larger knowledge management, content management, collaborative strategy and want to better leverage taxonomies in their enterprise search strategy, can attend multiple sessions at all five events with the Platinum Pass option, and save a bundle! Platinum Pass holders will be able to choose from 100-plus sessions across all five events and benefit from a variety of networking opportunities, as attendees gather for receptions, keynotes, lunch, coffee breaks, and more. Find out more. The Enterprise Solutions Showcase will feature the top companies in the KM, CM, search, taxonomy, and intranets marketplace, offering attendees an opportunity to explore all of the latest in product and service solutions. If you are looking for a particular product, evaluating competing systems, or keeping up with the latest trends and developments, be sure to visit the Enterprise Solutions Showcase. Wednesday, November 6 ... 10:00 a.m. – 4:00 p.m. Registration will take place on the Ballroom Level of the hotel starting at 8:00 a.m. each morning. Organizations sending more than one registrant can benefit greatly by using our discount rates. Receive a $100 discount per person on 2-4 registrations from the same company for a Platinum, Gold or General Conference Pass. (All forms must be submitted on the same day.) For groups of 5 or more, please call 800-300-9868 for special rates. Discounts are not applicable for pre-conference workshops. Registration cancellations received prior to October 4, 2019, are subject to a $150 administrative fee. No refunds will be issued after the October 4, 2019 postmarked deadline, although you can substitute another attendee in your place. Delegates are responsible for making their own travel arrangements and hotel accommodations. 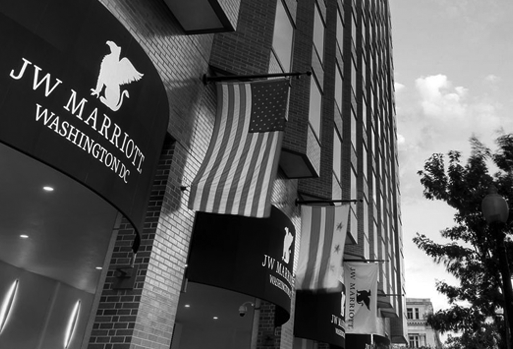 Discounted guest room rates have been arranged at the JW Marriott Washington DC. For more information please visit the Venue page. NOTE: The sponsors and management of Office 365 Symposium reserve the right to make necessary changes in this program. Every effort will be made to keep presentations and speakers as represented. However, unforeseen circumstances may result in the substitution and/or cancellation of a presentation topic and/or speaker. Information Today, Inc. assumes no liability for the acts of their suppliers nor the safety of any Office 365 Symposium participant while in transit to or from this event. The total liability during the precise hours of the meeting will be limited to a refund of the delegate fee.